On Monday, SeaWorld announced the death of one of its orcas. The theme park announced that Kayla, a 30 year old orca, died with animal care specialists by her side. Kayla was one of six orcas at SeaWorld Orlando who originally came from SeaWorld in San Antonio. SeaWorld noted the orca started showing signs of sickness on Saturday afternoon. She was given care around the clock but could not survive. 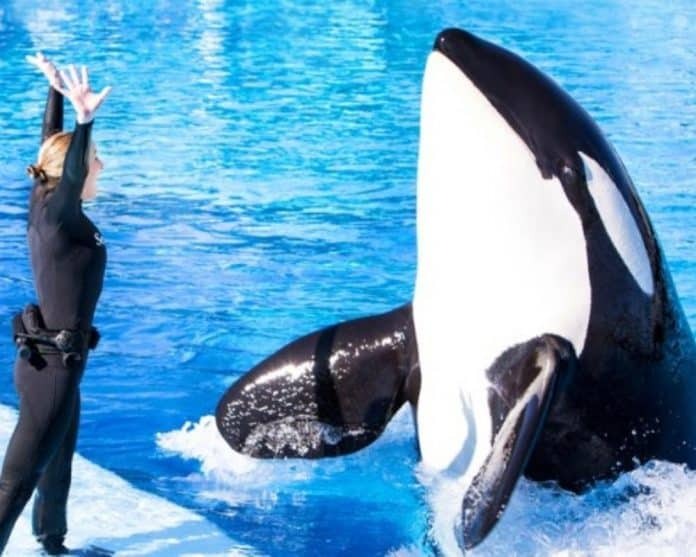 “While today is a difficult day for all of us at SeaWorld, Kayla inspired generations of guests and employees to care and learn more about this amazing species,” SeaWorld noted. SeaWorld has its last grouping of killer whales at the park. The park has promised not to keep bringing in new captive orcas in to entertain guests. SeaWorld’s website lists five orcas remaining in their care. Park veterinarians examined Kayla on Saturday and began treating her but the orca got much sicker on Sunday and simply could not recover. SeaWorld will now conduct a post-mortem examination that is expected to take several weeks so they can determine the cause of death.